AL is a young and dynamic company specialist in the design and production of Sports Wear under the brand Uwear. 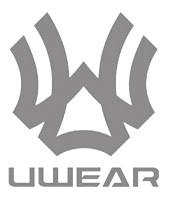 Uwear is a brand rapidly creating the new trend based on fast changing collection, prints and designs. For our Design & Content department we are looking for multi-talented people that want to work in a variety of creative processes. We are looking for multitalented creatives that either are able to fulfill several of the tasks mentioned or are able to develop their talent fast enough to become a valued member of our team. We only need driven people with a clear understanding of deadlines, responsibility and creativity, a 9 to 5 mentality is not what we are looking for. We are also not looking for people that intend to consistently violate company rules and lack the discipline to see things through to the end. Commitment is the keyword, commitment to the company and their own career, development and loyalty to the company. Self-learning and the interest to work with high end equipment and the facilities we as a company have to offer. A modern international styled work environment. A good salary starting from 3 million per month on target, depending on competencies. Housing in case you are from moving to us from outside Semarang. We are committed to the success of our company and we expect the same from our people, we expect skills and honesty, you may expect the same from us. At this moment we are looking to add 3 people to our team. If you are individual that’s ready to seriously develop your skills in a fast moving environment on an international level than we invite you to apply. Applicants must provide prove of their abilities in the form of a portfolio of designs, photography, editing, or videography. Applications without prove will not be considered. We also invite production teams that have a track record in production of content to apply as a team on project base. Their application should include production examples, shoot plans of the project as well as light settings base scenario for the project. Being able to hold a camera does not make someone a photographer of videographer. 0 Response to "Exciting Jobs at UWEAR in Design, Photography and Videography"